G1 Bumblebee and BW Optimus Primal Leaked?! I will reserve my excitement (very difficult ^_^} as I can’t guarantee these leaks are ‘official’, but according to a recently uploaded YouTube video, it suggests G1 Bumblebee (YEEEEEEEEEESSSSS) and Optimus Primal (That’s just Prime... ) are to follow after G1/CW Megatron. Should it be requested, I will provide a link. However, I am uncertain whether this is warranted by the forum’s policies. A head’s up would be nice! Anyways, feel free to share your thoughts down below! That’s what I’m hoping for! It was a missed opportunity in Transformers: Devastation . And for me, I loved Beast Wars and Optimus Primal was always one of my favorite Maximals. Let’s hope G1 bumblebee isn’t as overpowered like DotM Bumblebee... only thing preventing me from quitting the game at the moment. So gotta ask. What makes DotM Bee overpowered? Dotm bee isn't overpowered and it's comments like this that urge bots to be nerfed which is annoying! 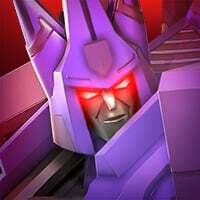 Hello I’m the maker of this video and the Ftfleaker, see my previous posts on the forums about me leaking G1 galvatrons abilties and posting leaked models. 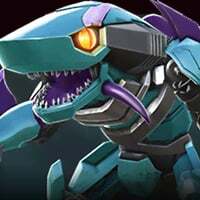 This is in the game files but it could not be the next bot. Some have been in the game files but I’m fairly confident that G1 bumblebee is coming in January 2018. Thanks for watching the video! Ps- Kabam might delete this post and you might get a warning and I did this and got jailed! Well in any case, thank you so much! G1 Bumblebee is the only thing I want right now besides a 4* Star DOTM Bumblebee. Definitely looking forward to this regardless of when. Welcome @Bumblebee good to see I helped the community:)! What the optimus look like? The video only shows bot code and no in game models. Well the “overpowered” post was an exaggeration. I had no idea i had such a voice in the community to be able to nerf a bot with just words. Anyway enough with the sarcasm, what i meant to say is that i hope G1 bumblebee isn’t as evasive as DotM Bumblebee. Please. Take all the time you need. Evil. You guys are pure evil. More beast wars the better. It seems after dinobot that the next bw character should be predecon. . I'd hope. Maybe............... Just maybe, inferno? Anyways, how likely are we to see TF:P characters and if so... Start with wheel jack pleeeeaaassssee.